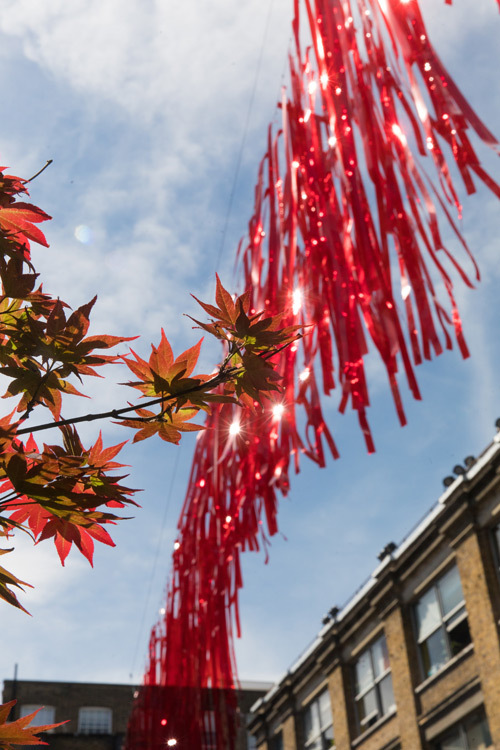 Clerkenwell Design Week approached lighting design studio to provide an installation to attract new foot fall and encourage people to explore the Hatton Garden district as they visit Clerkenwell Design Week. 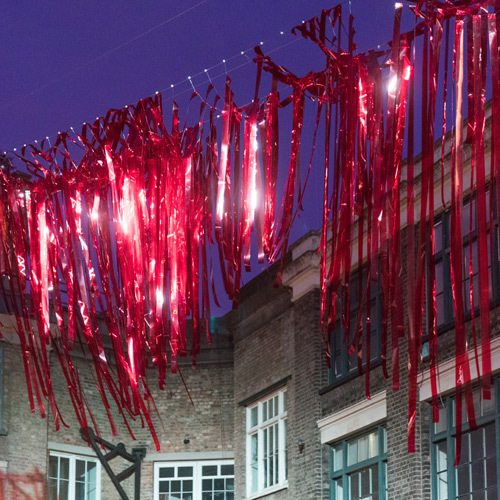 A collaboration with creative agency Popcorn and Architects Red Deer, Lighting Design Studio created the stunning ‘Bleed’ interactive installation. BLEED brings to life the gruesome legend of Bleeding Heart Yard. 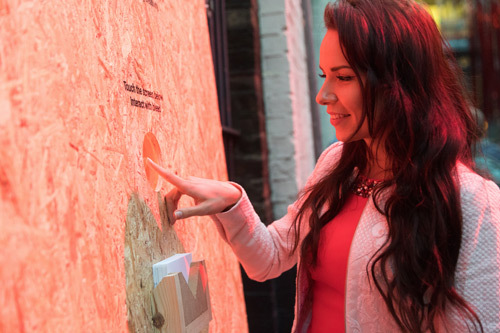 Celebrating the topography of the area, history of the community in Clerkenwell, and the spirit of new ideas. 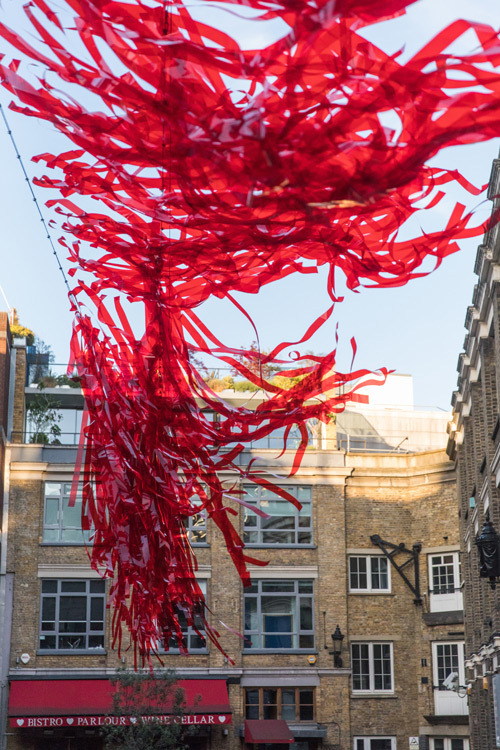 100 100mm wide red tinted acetate strips were attached to a high-tension steel cable and pulley system suspended high above the court yard. This one of a kind artwork moved and flowed with the wind creating beautiful inter-reflections of light and sound during the day. At night a lighting scheme was developed to respond to interaction from visitors by placing one’s fingertip on the sensor at ground level.